Elder Mike and Sister Jo Lynne Johnsen returned April 30 from serving 18 months in the Japan Tokyo Mission as military relations missionaries for The Church of Jesus Christ of Latter-day Saints. Most of their time was spent at the Yokosuka Naval Base. 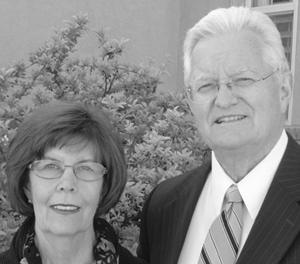 They will be speaking in the Ponderosa Ward, 240 Interlochen Lane in Stansbury Park, on May 19 at 12:50 p.m.